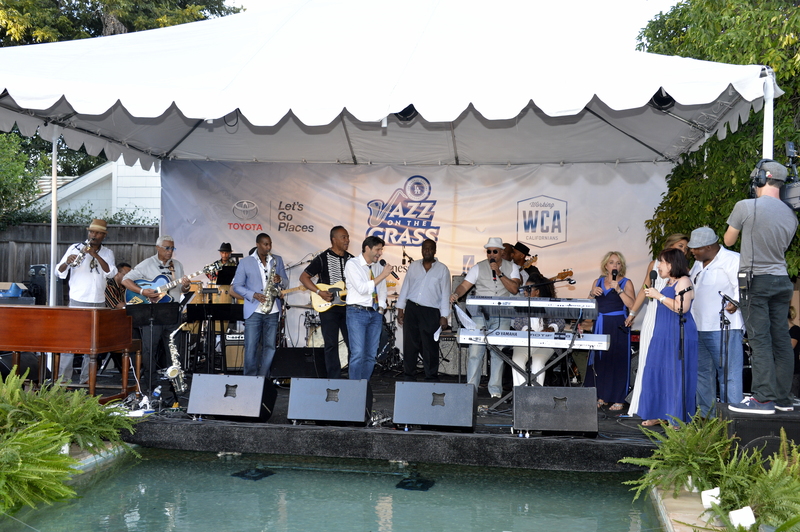 In an effort to continue to honor Jackie Robinson’s legacy and increase resources for gifted students of color, the Los Angeles Dodgers Foundation hosted the 2013 JAZZ on the Grass (JOTG) benefit which featured phenomenal Jazz performances. The JOTG Honorary Host Committee included, Sharon Robinson, Don and Karen Newcombe, “Sweet” Lou Johnson, Earvin “Magic” Johnson, Matt Kemp, Frank Robinson, Kareem Abdul-Jabbar and Paula Madison. The proceeds from this event directly benefit the Jackie Robinson Foundation, a 40-year old college scholarship program that provides both generous four-year college grants and comprehensive support services to highly motivated students of color with financial need.